Dinner: Monday - Saturday: 3:00pm - 9:00pm. Koto Lounge is proud to announce the launch of our Catering Service. Hosting a party or event? We cater to homes, businesses and other venues. Contact Miwa at 403-457-2898 for details. Welcome to Koto Sushi Lounge, a new Calgary favourite for fans of exceptional sushi and Japanese cuisine. Enjoy the contemporary ambiance and meticulous service of Koto Sushi and discover a menu filled with traditional selections and inspired creations, made from the finest ingredients available. Choose from an amazing variety of sushi, sashimi, teriyaki, and tempura all expertly prepared and beautifully presented. 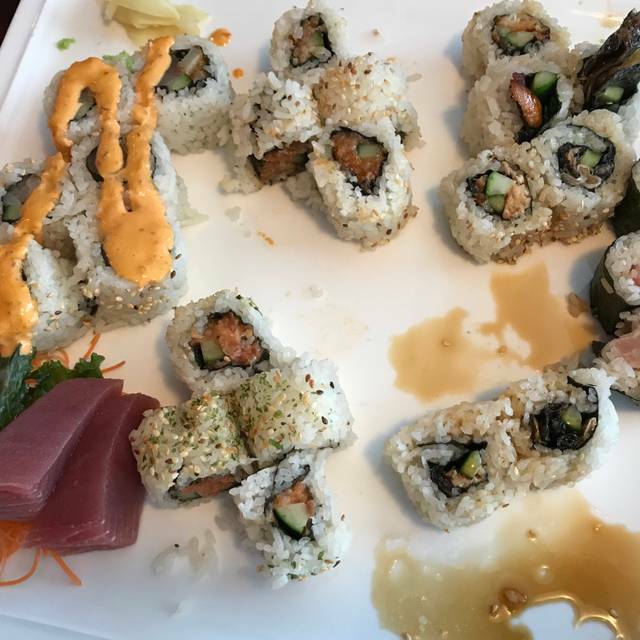 Serving downtown Calgary, Koto Sushi Lounge is just minutes from the best the city has to offer and makes a perfect destination for a quick meal with friends or a memorable evening with someone special. Satisfy the craving for great sushi at Koto Sushi Lounge. Very quiet. Serves were not attentive unfortunately. Great sushi and quick service. Fresh and delicious every time. Always a very good experience at Koto! The food is so good...freshest wild salmon and happy service! I definitely recommend Koto! Was great, food was very good and the server even tried to save me a few dollars by mentioning their groupon that I could use for the bill! Loved the food. Excellent quality. Our server was superb. Busy place for a Wednesday lunch - took time. Very loud at lunch. Had the Steak and it was excellent value for the price. would get it again. Great service, awesome food. My favourite place to catch up with a friend and have dinner. Amazing food and amazing service as usual! We dined here for a business lunch in a group of 7. Food was great and there were lots of options for rolls, and quality was fresh and tasty. There wasn't a great selection for sushi and sashimi platters, but the ones they did have were good quality. The restaurant was very busy during lunch hour, with many downtown business patrons. There were only 3 servers for the whole restaurant, so getting their attention was challenging, but they were able to manage, barely. One or 2 more servers would've made a huge difference in service. Overall, pretty good experience, and I would come back here again for a business lunch. 4/5. Good food and I've been many times for lunch. We used a Travel Zoo voucher (valid after 5 p.m.) but the menu online is not the one that was available at the restaurant when we got there - it was WAY smaller. Nonetheless the food was fine; the spicy tuna crunchy rolls are always excellent. Wanted more variety though to try things I hadn't tried before. This is bar none the freshest sashimi in town. Also, the beef tatiaki is a hard 10 out of 10. Excellent place to have a great meal while discussing business. Service has always been prompt and the quality and variety of food is top shelf. The food was fast to arrive but we were disappointed that the rice on the sushi was not sticky. Ever piece of sushi we picked up with the chopsticks broke in half leaving half the rice on the plate. The taste of the food was ok - It wasn’t extraordinary. We also found it a little pricey for what we received, but we may give them one more try in the future it might have just been an off day. California rolls where sticky and tasteless. The place was pretty dead which seems to be common. They don’t carry products like Strongbow or similar. It was very cold inside the restaurant. If you go there during the winter, make sure you bring a heavy jacket. It seem like they do not turn on the heat. Food was mediocre. Sushi was good, we ordered Saba and Yellowtail sushi. The rolls were not very good. Calamari was not good. I would not return to this establishment. 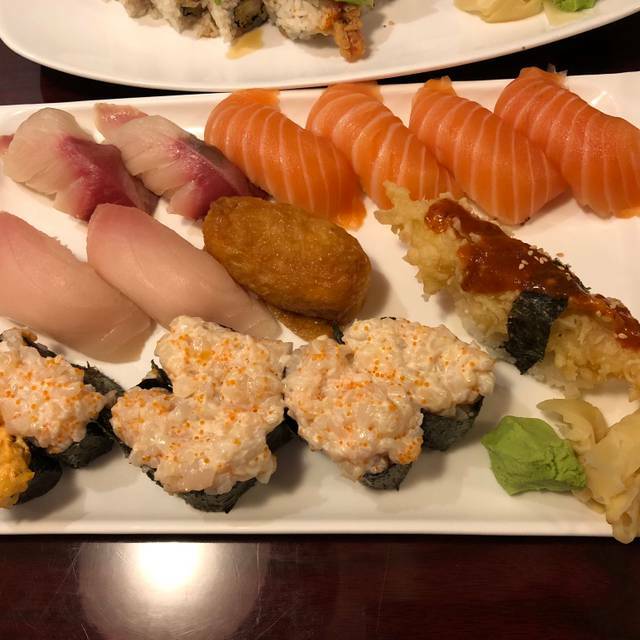 Always pleasant service and quality sushi! Another great meal in a relaxing atmosphere. Waitress was neither friendly nor attentive. Food was okay. Food was great and so was the service. Very fresh like by the sea. Was a bit pricey, but I guess the server did tell us to cancel a few items. Excellent food and beautiful presentation. It was a difficult to find items without mayo but what we had (without it) was great! Our waiter was lovely and we received our food quickly after ordering. We'll go back! It was good, especially for the value with the voucher. The restaurant decor is nice, it wasn't busy at all on a Friday night so it was quiet just how we like it. The service was outstanding. Another great experience at KOTO! Thanks for accommodating dairy, egg, and nut allergies. Food was average. Service was a little lacking. Took quite some time to get the bill. Always reliably fabulous-our "Go To" sushi joint. Only issue was only one stall working in the Ladies. Very good Sushi, according to my wife the sushi connoisseur, reasonably priced. Nice ambiance, booths or tables. I have not figured out the best parking yet, after 6 and on weekends parking on the street if you can find a spot. Well worth the try. Night out with my wife! always a solid consistent choice for sushi in DT Calgary, for a business lunch, Koto is your best bang for a buck for Sushi lunch. Amazing food and experience! Service was solid!